Double Bind is centered on the idea that any and every proposition has instability built into it; i.e. the idea that we, at any given time, occupy contradictory positions at once, yet given particular circumstances we are made to choose a position that will in some way antagonize past, present or future positionalities. Such double binds are found in already existing categories within which the conditions of knowledge and how we come to know the world are constructed. The double bind then makes evident the specific epistemes that our subjectivities are invested in, and the limitations that accompany every episteme. Gallatin professor Meleko Mokgosi (born in Francistown, Botswana) works within an interdisciplinary framework to create large-scale, project-based installations and engages with history painting, cinematic tropes, psychoanalysis, and post-colonial theory. His projects interrogate narrative tropes and the fundamental models for the inscription and transmission of history alongside established European notions of representation in order to address questions of nationhood, anti-colonial sentiments, and the perception of historicized events. 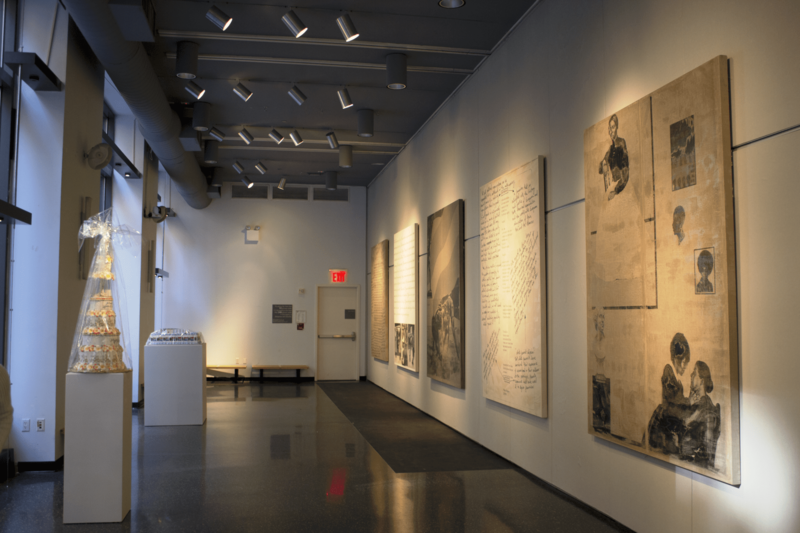 His work has been exhibited nationally and internationally at venues including the Botswana National Gallery, The Hudson Valley Center for Contemporary Art Museum, The Studio Museum in Harlem, the Armand Hammer Museum of Art and Culture Center, Yerba Buena Center for the Arts, and the Lyon Museum of Contemporary Art.